Hello Foxy Friends! Now that the common threads challenge is over, I have a whole closet to play with, it's pretty fantastic after limiting myself to using 5 things...the weather is finally cooling off, so now we're in high 60's which means...I can break out the scarves! Before I did Alison from Get Your Pretty On's challenge (affiliate link), I wouldn't dare wear leopard, but now...bring it on! I love that just by adding a scarf, it makes the outfit seem so much more pulled together. I tried a necklace, but it just didn't do the same thing. I bought these boots to go with an outfit for our Christmas cards 2 years ago...and then they sat in a box...for two years...yep, this is the first time I have worn them. We got our family pictures done, and then I had ankle surgery the very next day. For whatever reason they hadn't made it out of the box, until Sunday. It was slightly chilly, and I don't like wearing pants to church, so this was a great compromise. I'm also linking up with Shay and Erica for Workin' It Wednesday, today's topic is planning for the holidays. Now that the kids are getting older, I feel like planning fun things for them is a must. This year we are going to the Polar Express and the North Pole Experience. We are all so stinkin' excited! Yes we're driving 10+ hours to get there, actually Siri says it's 8ish hours...but that's driving straight with no traffic and no stops, so let's go with 10+, wish us luck! As far as planning goes, we always go to my cousins house for Thanksgiving, so I don't really have to worry about that, besides whatever side dish she wants us to bring. I always buy the kids matching Thanskgiving PJ's to wear after the turkey and pie has been eaten. 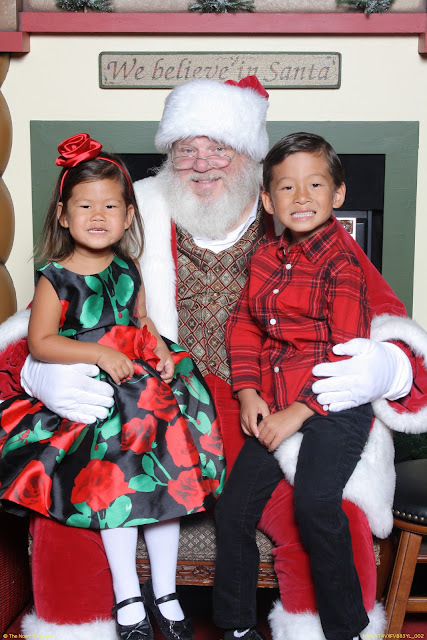 We also found out taking the kids to see Santa the day before Thanksgiving, yep that happens. No lines and we can pretty much take as many pictures as we want...score. Plus that way I can put that picture in our family calendar for the following year. Win-win. That being said I also always getting matching PJ's for Christmas too. I used to buy them for the whole family, but I got too much grief from the Mr....maybe I'll spring it on him the night before Christmas, haha. Anyway, I got these to wear on the Polar Express, and these to wear to the cousin party. I actually bought 13 pairs of these for all of the little cousins to wear to The Cousin Party. I'm going to ride that matching PJ's thing for as long as possible! Not sure how many more years I'm going to get out of them, now that Baby Fox doesn't like to sleep with a shirt and wears shorts...but at least he puts them on for pictures. I'm hoping with the weather getting slightly cooler, he'll start wearing pants, so at least the bottom half of them can match? Apparently the only picture I took last year wearing their matching Pj's where they are in the same picture, oops! 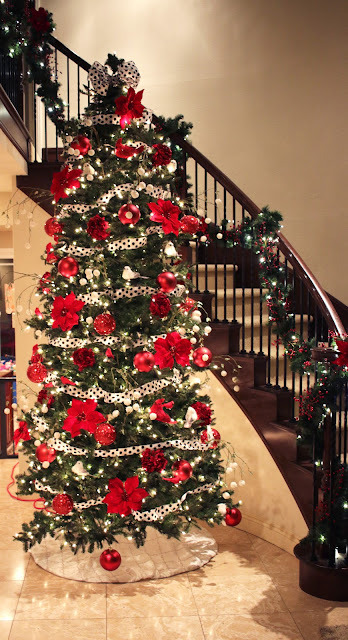 I try to plan out my decorating too, I pretty much know where everything is going to go, so when we get everything out, everything has a place...at least that's the plan. Full confession, we're getting the Christmas tree out on Sunday because that's the only weekend until the second week of December to do it, and there isn't any way that this lady can handle a 12 foot Christmas tree on her own! That's it, I always take on too much...making too many cookies, doing too many things, but you know what? I wouldn't have it any other way!